E-commerce is one of the fastest growing retail segments, and for good reason. As businesses incorporate more online ordering elements or move to an entirely internet-based model, the ability to coordinate, process, and deliver orders across the country (and possibly beyond) is becoming much more valuable. However, as the reach of your business’s fulfillment operations increases, so too does the managerial and financial demand they can place. For small businesses, this can be a major obstacle they will struggle to overcome alone. Large businesses struggle with the complexity of managing multiple channels and adhering to their client’s requirements. 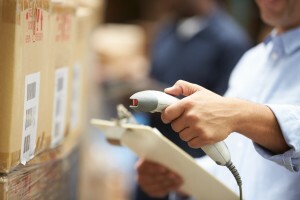 Fortunately, e-commerce fulfillment providers can be used to stay on top. What is an E-Commerce Service Provider? An e-commerce service provider is a third-party that offers e-commerce fulfillment to another business. The main benefits of engaging such a firm are that you can get access to order processing, warehousing, and distribution and delivery systems you would not normally be capable of—and you get access at a dramatic discount. One thing that makes Lean Supply Solutions stand out from the competition is the Lean Methodology. We use this to get maximum value from any operation. By overseeing all parts of the supply chain, from providers to recipients, savings can be found by adjusting, eliminating, or sometimes adding elements so that maximum value can be attained without negatively impacting the customer. By ensuring the right products are provided to the right customers at the right time, we offer consistent, predictable, and quality results. To learn more about the Lean Methodology and how we can use it to help your business, give us a call at 905-482-2590.